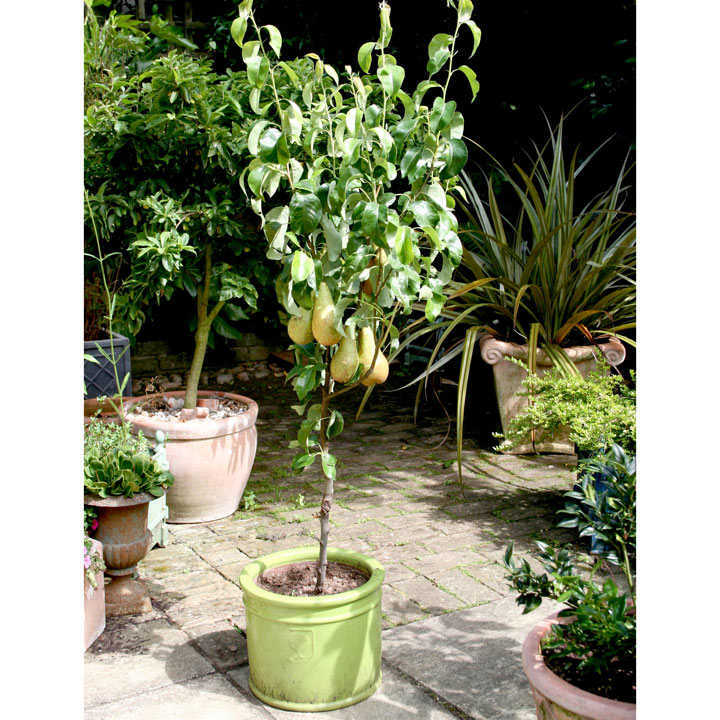 Delicious fruit from small trees on your patio! - Small trees adapted to grow in different container sizes. And if you want, you can also transplant them into the open ground. They are a selection of the most tasty varieties of the most popular fruit species. All are self-fertile. Trees are grafted onto the most innovative rootstock, which reduces the vigour of the plant, provides a controlled growth and improves the characteristics of the fruits! Eventual height 1.5-2m (5-6'6"), depending on container size. Supplied in 4 litre pots, at a height of approximately 70cm (27½"). Ideal for patio pots and containers, beds and borders.